If you are a non-profit food assistance or social service organization that provides food – including shelf stable, fresh, frozen, or prepared food – to people experiencing hunger, join the CFR network to receive donated food. Follow the easy steps below to get started with our free food matching app, ChowMatch. Number of people your organization serves in a year. Special instructions so that a volunteer can find your location, parking, front door, etc. Tip: Once you have created a profile, download the ChowMatch mobile app for Android or iPhone to receive food runs from your smart phone. If your staff or volunteers can transport food donations, they can also sign up as volunteer food runners. You will be notified when a food donation is matched to your organization and then if a volunteer doesn’t accept the run to transport it to you, a member of your staff, or your volunteer can claim the run and transport it. IMPORTANT! If at any time your organization can not accept donated food, you must change your profile status to “inactive”, otherwise, you may receive food that you cannot use. Go to Recipient>my recipient account>status> select from drop down menu. Your organization’s established relationships with food donors will be honored when the donor selects your organization as a food recipient. Check with all your established donors to make sure that they select your organization at the time they schedule a food donation. Encourage your donors to join CFR and sign up to use ChowMatch if they haven’t already! Matches are based on the information in your profile including: types of food, amount of food, timing, and location. When a donor posts a food donation, a match is made with your organization, and a volunteer accepts the run, the food run will be scheduled automatically during your designated hours. You can update any profile changes online anytime. Volunteer food runners will ask you to sign the Food Safety Tracking Form upon receipt of the food. Retain these forms in your files to satisfy county health regulations in case there is ever an issue with food safety. Click on the checkmark icon. Electronically sign that the food has been handled according to CFR safe food handling practices. Click on the pencil icon. Update the amount of food that was actually received if it differs from the amount the donor posted. This information is used to accurately report the total amount of food that is being donated. Tip: If you receive a regular weekly food run, you only need to sign and rate your first run. You will need to update the amount of food donated if it differs from the estimated amount you initially entered. Read our County-approved Food Safety Guidelines for handling donated food. Learn how food donors and recipient organizations are protected from liability. 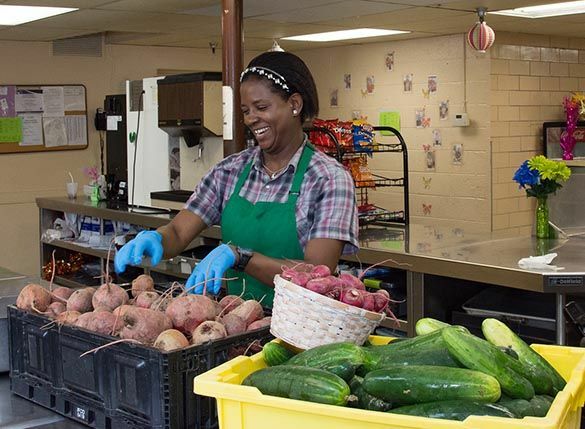 Non-profit food assistance/social service organizations that provide food–including shelf stable, fresh, frozen, or prepared–to people in need of supplemental food in Montgomery County. The recipient organization must have a Federal Tax ID number or EIN. How will CFR honor existing relationships with food donors? When donors schedule a food donation, they can select a food assistance organization that is already in the CFR network if desired. If you are a recipient organization, tell your food donors to select your organization when they create a food run. Can recipients sign up their donors? No, donors must create their own login and profile. Donors can learn how here. What’s the sequence of match-making and scheduling a food run? When a donor schedules a food donation run, ChowMatch software tool automatically matches a recipient organization based on both profiles. Then an email request is sent to all volunteers within the vicinity of the donor. The first volunteer to claim the run gets it. Then the run is scheduled and an email confirmation is sent to the donor, recipient, and volunteer with the run details and contact information. What if a recipient organization can’t receive food for a period of time? IMPORTANT! All active recipients will automatically be matched to receive donations according to their profile. If a recipient is temporarily unable to receive donations, they must change their profile to “inactive” status until they can resume receiving donations. Recipients can adjust their profile at any time. Go to Recipient>My Recipient Account>Edit Profile> click on status menu. Can recipients indicate they don’t want a particular food type? Yes, recipients check off food categories they can receive. However, recipients cannot specify individual foods. The recipients need to know that by eliminating categories, they reduce opportunities for receiving donations. If no volunteer claims a run, can an organization pick it up themselves? Yes! 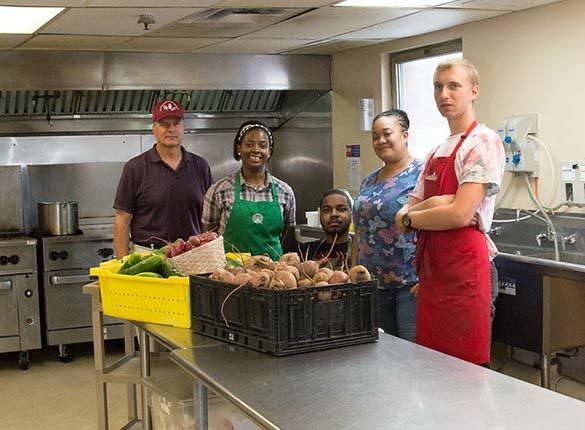 The recipient organization’s staff and volunteers can sign up as volunteer food runners. They will be able to see if a food run is claimed by a volunteer, and if not, they can claim the food run and pick it up themselves. What happens on the rare occasion that a volunteer doesn’t pick up the donation? The donor is advised to chill or freeze and store the donation until the next day, and post it again as a new donation. The donor can also choose to take it to the recipient themselves. How is the amount of food that is donated recorded? Food donations are entered by food donors when they schedule a food run. For regular, repeated runs with similar quantities and types of foods, donation information is entered one time and the information is automatically aggregated for each run. If food is donated as a one-time run, food donors post the types of food and quantities of each. Food run information is aggregated. IMPORTANT: Donors or Recipients should update the amount of food donated if it differs from what was posted to accurately capture the amount of rescued food. Can CFR members obtain information about how much food they donated or received? CFR administrators and donors can run aggregated reports and CFR recipients can request reports from the CFR administrator. What do I need to do after receiving food? Click on the pencil icon Update the amount of food that was actually donated if it differs from the amount you posted. This information is used to accurately report the total amount of food that is being donated. Tip: If you receive a regular weekly food run, you only need to sign and rate your first run. You will need to update the amount of food donated if it differs from the estimated amount the donor initially entered. Retain the Food Safety Tracking Form received from the volunteer food runner you signed in case there is a food safety issue. Do you have information about the benefits of being a food recipient organization? Yes! Download our brochure to learn more.